Do you love cooking as much as we love stickers?! 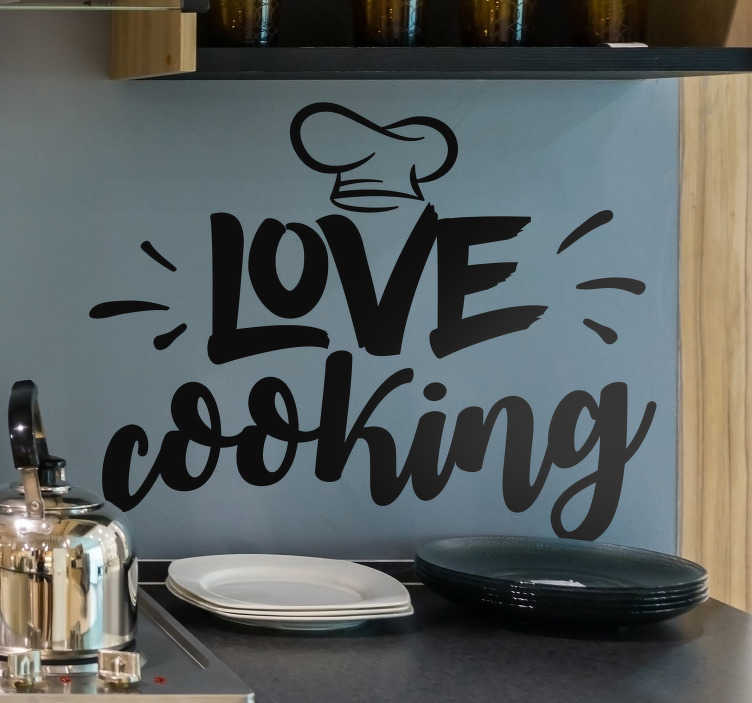 If the answer to that question is yes, then surely you should consider displaying your love for all to see, thanks to this fantastic kitchen wall sticker, depicting the very words ´love cooking´! Ideal kitchen decor for those who only truly feel happy when they are in their kitchen, doing what they love!